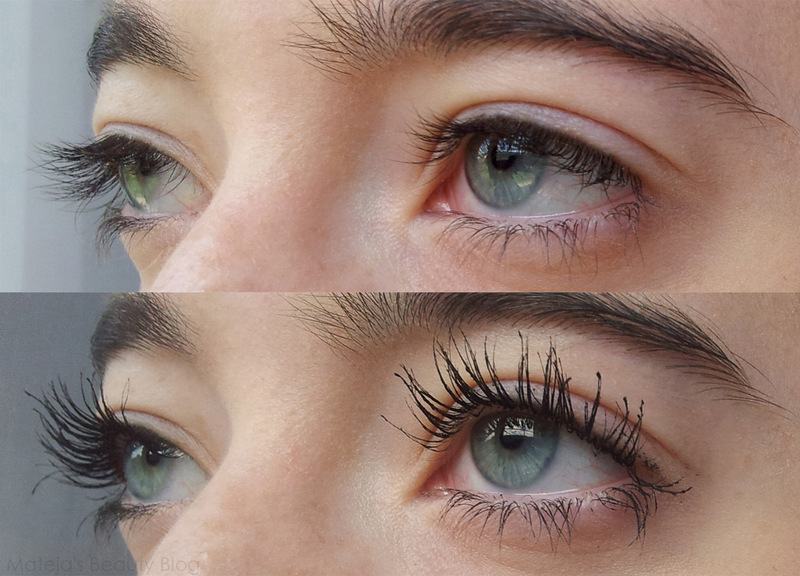 Curled lashes make a huge difference - the eye looks bigger and more awake. I'm sure I've complained numerous times about how stubborn my lashes are. Though they are long, they are poker straight, grow criss-cross and years of being smashed behind my glasses have caused a very noticeable sideways split on one eye. All that and my hooded eye shape mean that if I don't curl them well, it looks like I have no eyelashes at all when looking from the front. 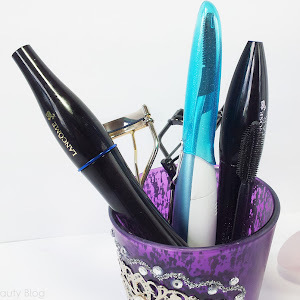 I've tried a few eyelash curlers, some really bad and some good, but none of them work on me like on most people - meaning that a few seconds of holding them on each eye does pretty much nothing on me and the lashes drop in microseconds (I really, really envy all of you whose lashes are easy to curl!). But, a few great tips and years of experience taught me how to curl them relatively well. Curling the lashes is actually a long step in my make up routine, but that's just the way it is. I can make an effort and have lovely looking lashes or have the look of having no lashes at all. 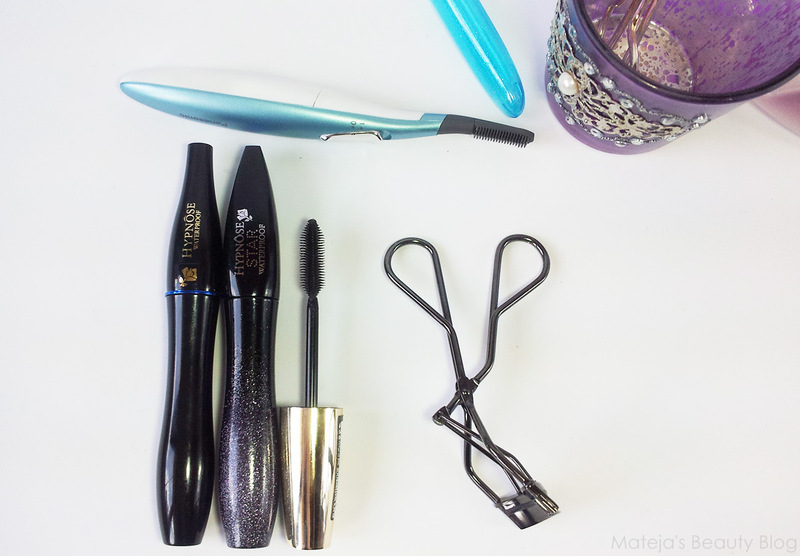 Start by finding a good curler for your eye shape. My eyes are small with a rounded upper part. Best I found are Tana's and Shiseido's. Tana Eyelash Curler is cheaper, slightly smaller with a rounder shape and feels more sturdy/better made, but it is very hard to find (used to be sold in Műller, I found them on eBay. Google for more). Shiseido The Makeup Eyelash Curler is more expensive, a bit bigger, flatter, feels lighter and is dark, which means it's not easy to really see the lashes, however, I think this one fits my eye shape best (bought mine on Feel Unique). You can buy replaceable pads for both unlike for Shu Uemura, which recommends you replace the curler every 6 months (insane, if you ask me! My Tana's are 7 years old). Both Shiseido's and Tana's feel very comfortable to use and don't pinch or pull out lashes (I've had Manhattan's that did that). Other curlers I that are supposed to be good are from Japonesque, Tweezerman and Kevyn Aucoin. Find a good waterproof mascara. The drier the formula the better. 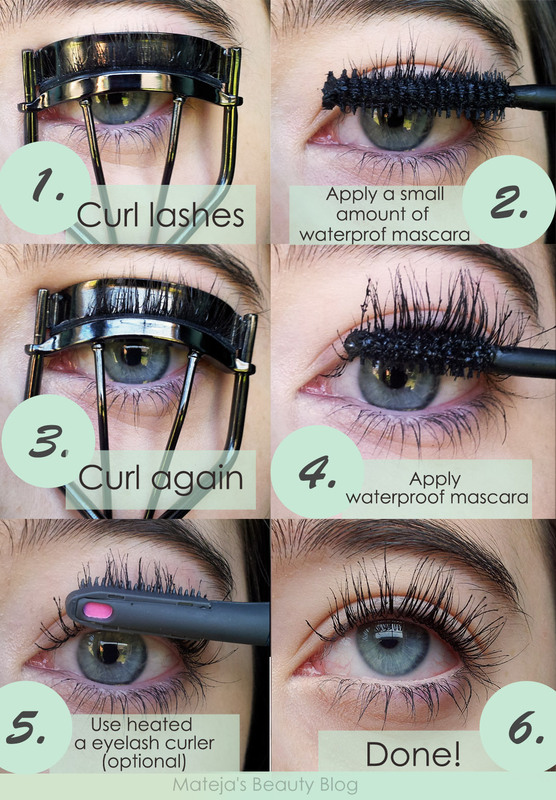 Waterproof mascaras hold curl much better because they don't allow the moisture to drop the lashes, however, they require an oil based remover. I find that drugstore mascara's don't hold the curl as well as high-end ones, but since we have only a handful of waterproof mascaras in Slovenia, I haven't tried a lot of them. Essence get BIG lashes volume boost waterproof mascara and Maybelline the Colossal Volum' Express Waterproof are ok, as is Majolica Majorca Lash Expander Frame Plus, but I get best results with Lancome's Hypnôse in waterproof formula and Helena Rubinstein's Lash Queen Feline Black waterproof. Heated eyelash curler are not a must, but nice to have. 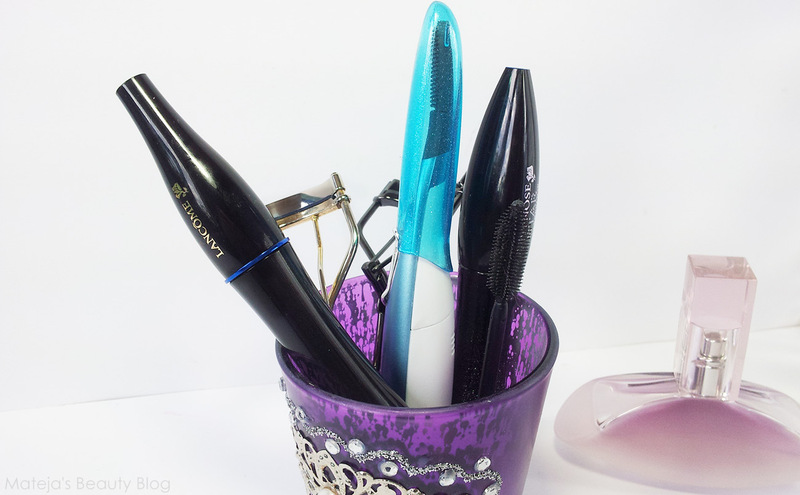 It helps the curl to last longer, but you can also just heat your regular eyelash curler with a blow-dryer. In my experience that works very well and it's not too hot. I have Panasonic's Heated Eyelash Curler which I find really helps to give the outer lashes that fluttery look since it lifts and combs them so they point outwards (these are the lashes that are squashed on the edge when using a regular eyelash curler). It heats up in about a minute, there is an indicator that turns from purple to pink on the back, which tells you when it's ready to use. It's not that hot, but some people say that it burnt them, so caution is advised. I just place it on the lashes and wait three seconds, but combing doesn't do anything. I bought it on eBay. Step 1: Start by curling your lashes in four stages, each time moving closer to the end of the lashes and do the last one as close to the roots as you can. This will give you a nice rounded curl instead of crimped looking lashes. Step 2: Apply a very small amount of the driest formula waterproof mascara you have and I mean really small. This will give some grip just like a hair styling product with hold (e.g. hairspray) gives to the hair before curling it. I use a dried up waterproof mascara for this (so I don't waste product), but you can use your "fresh" mascara and wipe the brush before so there is only a small amount of product on the wand. I've learned this tip from Wayne Goss. Step 3: Curl your lashes again as close to the lash line as you can. If you worry that this might cause your lashes to break - don't. I've been doing this for years and it's fine. Just make sure you apply a very small amount of mascara before and make sure your lashes are dry as well as still soft to the touch. I really notice the difference if I skip this step and my lashes drop fast without it. Step 4: Apply a generous coat (or coats) of mascara. I prefer a very defined look so I also use an old mascara wand (L'Oreal's Million Lashes is best) to comb the lashes after. Step 5: (Optional) Use a Panasonic's Heated Eyelash Curler. Not every heated curler works this way, but Panasonic's works only after the lashes have already been curled with a regular curled and mascara has been applied. It helps to create better lift and fixes the lashes that may look droopy, it also combs and defines them. By the way, if you plan to heat your regular curlers, do that for step 1 and/or 3, but not after thick coat of mascara was applied. And you're finished. A good waterproof formula should keep the lashes curled well enough until you decide to take the make up off. I used Shiseido's curler, a dried up Hypnôse mascara, a "fresh" Hypnôse Star mascara and finished with Panasonic's Heated Eyelash Curler. One more thing and I'm finished, I promise. Waterproof mascaras can dry out the lashes, so take care of them. I use a face oil every day (Nuxe) and apply a bit on the lashes as well. Coconut oil is great as well and it works as a make up remover. I hope this was helpful and have a great day! Ooo kako zelo dolge trepalnice imaš <3. Your lashes look beautiful! They are very very long naturally, but you do a great job curling them. Thank you for the tricks! I am thinking to buy the Tana curler as well (I have now one which doesn't do anything for me, so before I just assumed curlers in general don't work for me). Would you recommend to buy the classic, or the silicone curler? These are just refill pads :) I got mine on Feel Unique where the regular price was 24 €, but I waited for a discount so I paid 20 €. It's expensive, so if you can't justify the costs, get Tana's instead, but it's worth it. By the way, what is the difference between all the types of Lancome Hypnose (ie. star, drama, classic, doll etc). There are sooo many! I want to choose the best one for me (medium lashes, straight as yours, also hooded eyes).